If Carlos can't find a big-un he'll find a small one and crack the throttle. 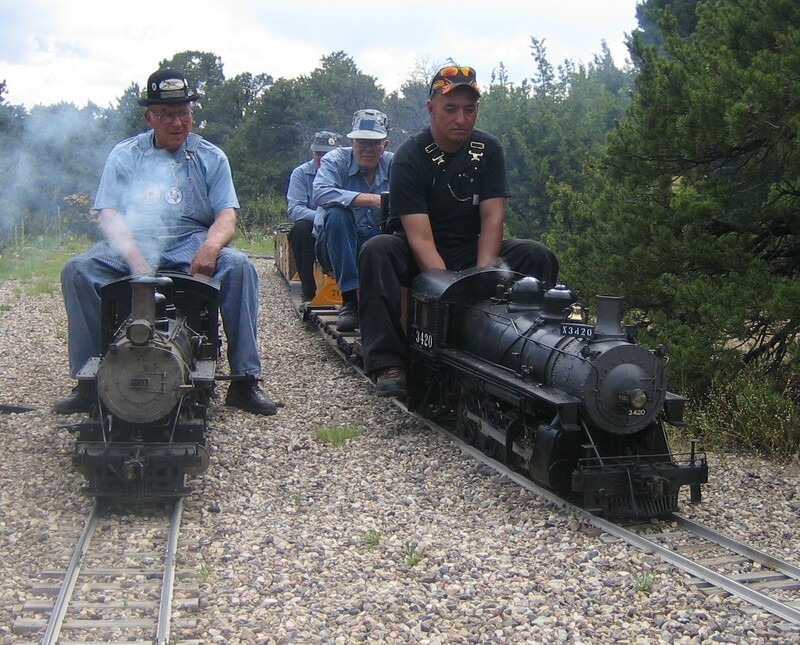 Here he is west of Walsenburg in 2007 (look at that clean stack and clean Carlos) and that is Fred Springer next to him. 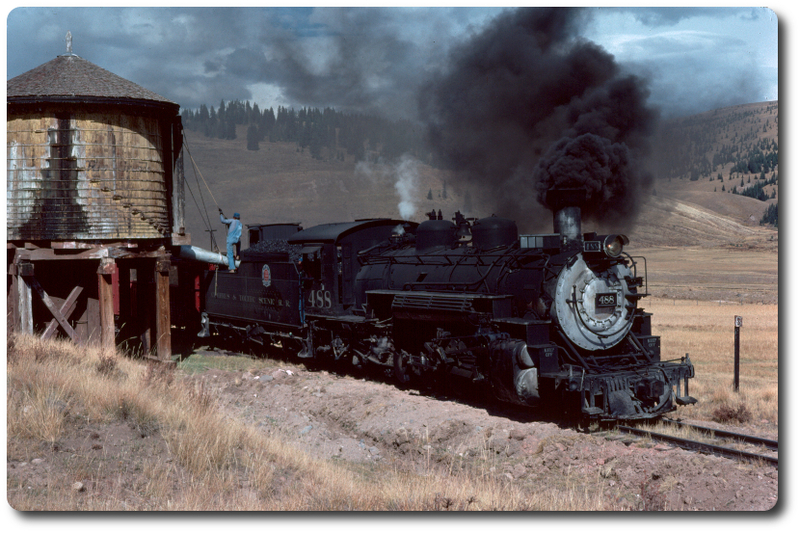 He is running a 2-8-0 belonging to Harry Bean (sitting behind him). Edited 1 time(s). Last edit at 01/01/2019 10:26AM by Tomstp.